One of the common ideas about motor oil is that it has to be changed before every road trip. While it is not necessarily true or false, it does depend on the circumstances. There are plenty of factors to look at before deciding to change the oil before the road trip. 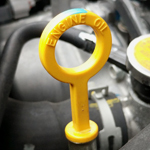 One factor is if you had recently gotten an oil change, then that can be considered as before going on the road trip. Another thing to think about is the length of time you are going to be gone and the distance you are going to travel. Another important factor to whether or not to change your oil before the road trip is the recommendation of the manufacturer on how often you should change your oil. Different vehicles are going to have different recommendations when it comes to motor oil and when to change it out in order to keep things working well.